Street Figher V: Necalli enters the ring! 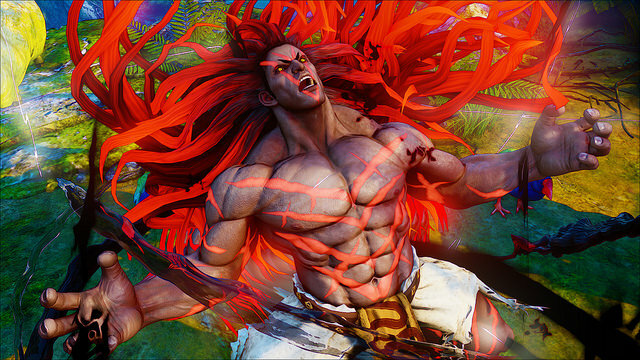 Capcom released a trailer for a completely new and original character: Necalli, the wild warrior who now joins the Street Fighter V roster. If you’ve been following news regarding the game, you might have seen Ken’s trailer and the little teaser at the end for the then unnamed warrior. Now, we have a better look at his face and his play style. 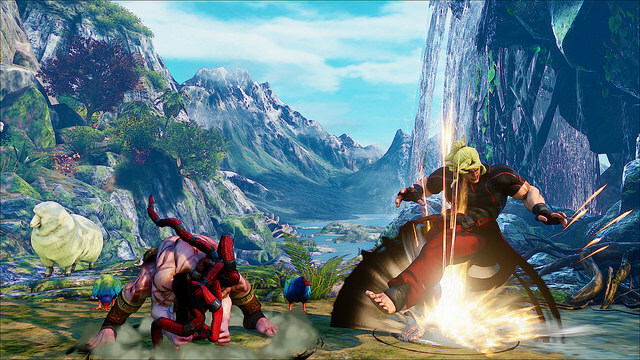 If you miss Blanka’s wild style or if you’re yearning for a savage and animal-like warrior for the next big fighting game to come, Necalli might be what you’re looking for. The trailer shows him using a lot of close-range attacks in a very raw and untamed way: slashes, hard-hitting attacks and a command grab… You name it. If you’re worried about mid to long-range, you can rely on his V-skill, Culminated Power. 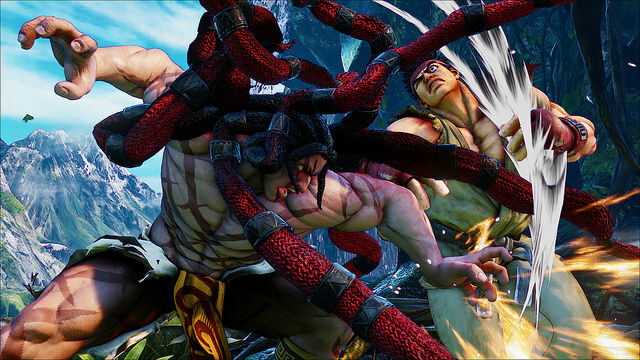 Necalli punches the ground with both fists, creating an explosion. Players will be able to control the explosion with their joysticks. His V-Trigger completely unleashes the wild beast that’s in him. The most notable feature is his dreadlocks turning into wild red hair. Regarding play style, this powered up state grants him access to new combos, frames and a new Critical Art. What are your thoughts on this new character? Does he fit the Street Fighter universe? Will we see Blanka join the party or be replaced by this guy?